Cordelia Bailey Photography is distributed by the University of New Mexico Press and can be ordered from Amazon.com here. 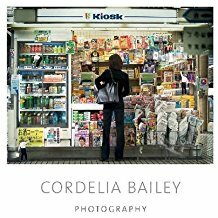 Cordelia Bailey Photography (Fresco Books, 2016) was printed on an offset fine art press in Padova, Italy and is 12 x 12, hardbound, and has a 4 mm board cover, and a dustjacket. Text and images are printed on a 170 gram Gardamatte sheet, a #1 Italian paper. Maximum interior image size is 10.25 " vertically and 9.75'" horizontally, with both color and B&W. Death For Cause is a whirlwind tale of terrorism and international intrigue. Three scientists use biological weapons to try to coerce the US Government to change its policies. Set in cities from Jerusalem to Flagstaff, characters reveal how one man's morality can be another's immorality. Revenge In Kind is a novella based on a screenplay of the same title. It is about a cop named Chris Coxon who is trying to nab a very smart serial killer. Stumped, he seeks the help of the Department's psychologist, Sarah Scott, and the two develop instant rapport. Meanwhile, another criminal begins to mutilate victims and the story takes a very unexpected turn. Revenge In Kind is available on Amazon, iTunes, and Google Play. The DVD or Blu-Ray can be ordered online at Amazon. You can download either ebook, or a sample chapter of either, at Amazon Kindle or on iBooks. Revenge In Kind is here. Death For Cause is ﻿here﻿. To see the trailer for Revenge In Kind, click here.